The U.S. Army is the embodiment of physical, mental and emotional strength. The brand exemplifies honor, loyalty and courage and represents a force that will not break under pressure, that commands respect and one that will never fade. ELIS LLC has teamed up with the US ARMY to design and manufacture footwear for the whole family that tie back to the roots of what it means to be apart of the US ARMY. The Morale, Welfare and Recreation program is an organization set up to help benefit the lives of soldiers and their families. By becoming a licensee of the U.S. Army trademark licensing program, ELIS LLC helps build day care facilities, and activity centers for soldiers and their families. 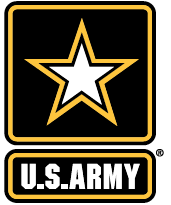 *Licensing fees paid to the U.S. Army for the use of its trademarks provide support to the Army Trademark Licensing Program, and net licensing revenue is devoted to U.S. Army Morale, Welfare, and Recreation programs. INFLUENCE was created to give men a choice in footwear that give todays on to go men footwear that can be both stylish and comfortable. Wether you wear our shoes to work or to the game, INFLUENCE footwear helps men in todays fast paced world makes pairing their outfits that much simpler. If your looking for your favorite handbag, wallet, or backpack Free Choice has every girl covered. In 2014 ELIS LLC created FREE CHOICE, a bag and small leather goods brand which would compliment every girls wardrobe giving them a trendy, fun and flirty accessory. Grab one of our backpacks to school and to the beach, or one of our wallets to the mall or for a night out its a girls FREE CHOICE! Twisted shoes symbolize a fun and forward lifestyle. Tying together the perfect mix of fashion and causal, only Twisted can outfit for a beach party to a night out on the town. Twisted believes that every girl deserves to escape, have fun, and enjoy themselves! Wide sizes meet a wider selection. Twisted+ was created for the fashion obsessed who appreciate variety. An exclusive collection of essentials that compliment both size and style. Combining padded insoles with super chic details, Trusol show-stopping collection will keep you on your toes month-after-month. Whether you're on the lookout for sneakers, boots, flip-flops, or other shoes to perfectly match your childs wardrobe, Twisted JR offers versatile and comfortable childrens fashion sneakers in all different shapes, sizes, colors, and materials. From classic black and white lace-ups to neon yellow sandals, you can find it all at Twisted Jr.. Enjoy playful, standout fashion in both casual and comfortable looks - Twisted Jr. will help your kids stay up to date on new fashions. Some things just feel right! ELIS exists for one reason: to create pleasant experiences. Because when people feel good, things are good! Simple, seamless, and satisfying; ELIS is The Perfect Fit. Since its inception in 2005, ELIS has become a symbol of fulfillment in the footwear industry. Delivering that comfortable feeling not only through product, but more importantly with service. Created in their basement with no more than a laptop and just a container of flip-flops, Elliot Romano and Isaac Hadriye sought to build a different kind of company. The kind that recognizes that not every shoe fits the same foot. ELIS takes pride in its flexibility to adapt to the ever-changing market and a plethora of customer’s needs. Despite humble beginnings, ELIS has matured into a fully diversified, multi-channel wholesaler with global exposure. ELIS specializes in developing branded and private label footwear for specialty, department and mass retailers. As today’s fast paced fashion market demands, our dynamic team is fully equipped to deliver quality footwear on trend and on time. We share a passion for creative design. That’s’ why we send our stylists around the globe to seek inspiration from the worlds most tasteful fashion hotspots. Bringing fashion into focus, our merchandising team reviews the latest trends and piece together jaw-dropping collections that are hard to walk away from. Carefully selected international partners in Asia are key to ensuring that all of our developments surpass the industry standard. Product development and compliance teams are constantly in sync so that customers get their orders just the way they like it. Coast-to-coast warehousing facilities conveniently expedite orders to ensure they are in-house and on time. Our shipping/logistics team keeps their collective eye on everything. Carefully monitoring that every step of the delivery process is smooth. Even during those occasional bumps in the road. ELIS, LLC. is always on the lookout for experienced and bright individuals to add to our team. Please check back for future career opportunities or feel free to contact us below. For all wholesale and general inquiries, please contact us via the contact form below.